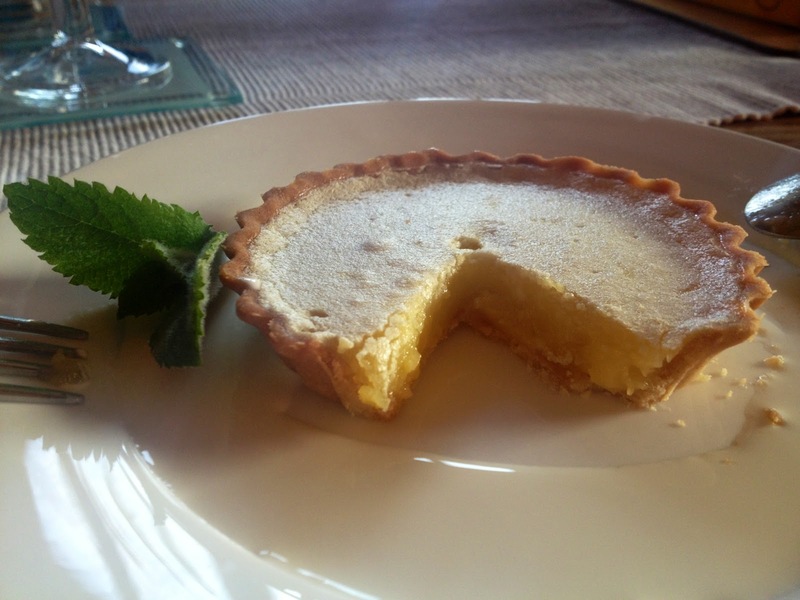 I’ve only very recently started making these lemon tarts and they have already become a staple in my repertoire having tried them out on my parents as a dessert for Sunday dinner, my boyfriend for a romantic meal and having made a large one for a big family barbecue. They’ve been a hit every single time and I think they’re a really easy impressive and tasty dessert, definitely worthy of a dinner party but simple enough to whip up for any weekend dinner. 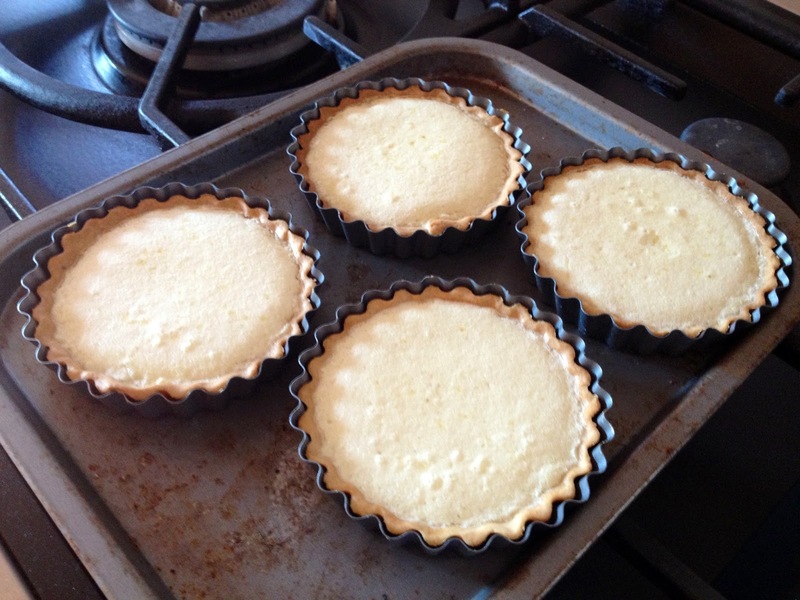 To fill a normal sized (approx 23cm diameter) large tart tin, double the ingredients. 1. In a food processor blend the butter with the flour salt and icing sugar until the mixture resembles breadcrumbs. 2. 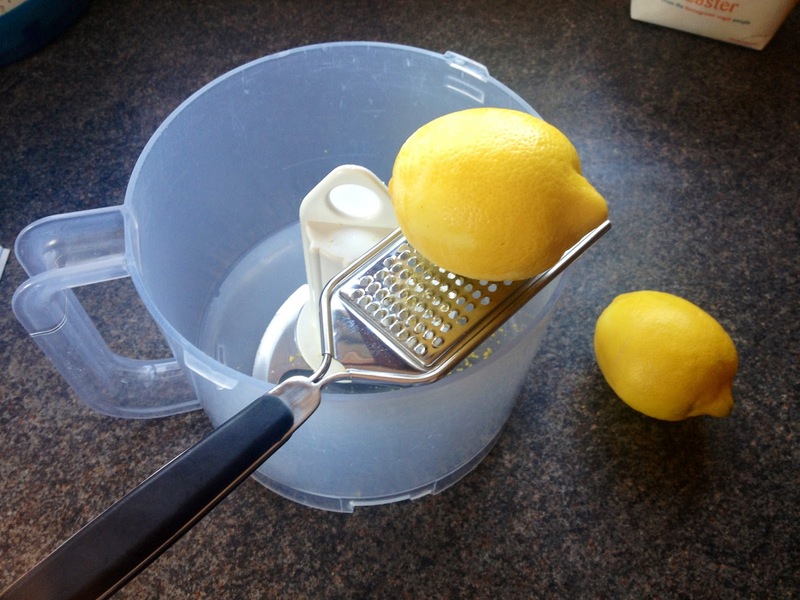 Beat the egg yolk with the iced water. 3. 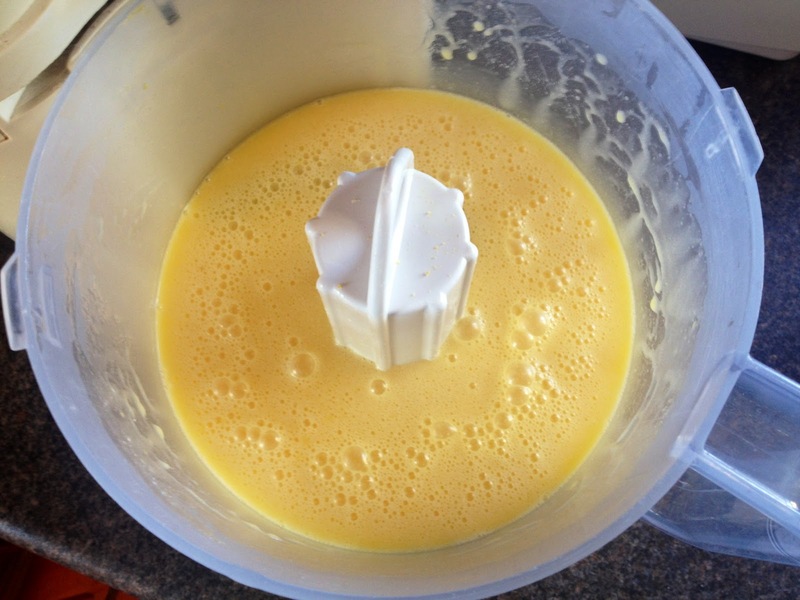 Slowly pour the egg mixture into the food processor and continue to mix. Blend until the mixture comes together as a dough, forming a ball. If the mixture is too dry and crumbly add another tablespoon of water. 4. 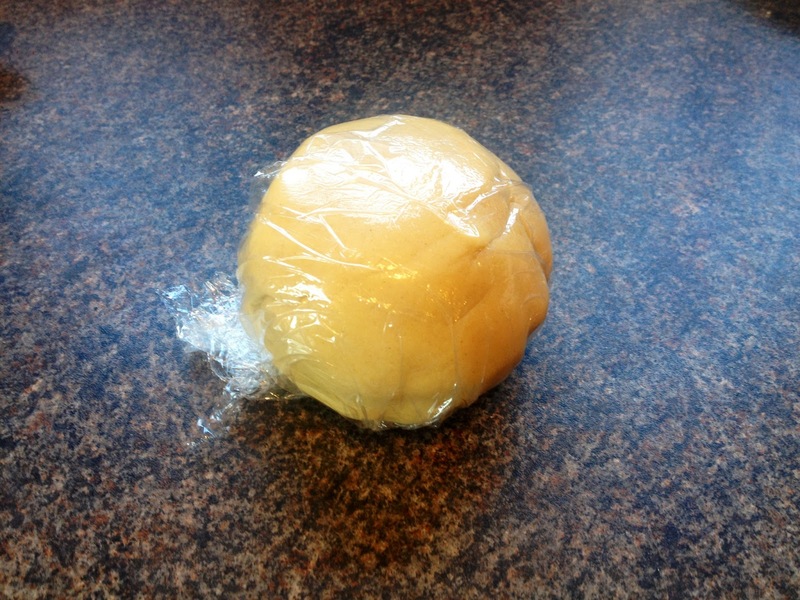 Knead on a floured work surface until smooth, form the mixture into a ball and cover in cling film. Chill in the fridge for at least 30 minutes or until needed. 5. 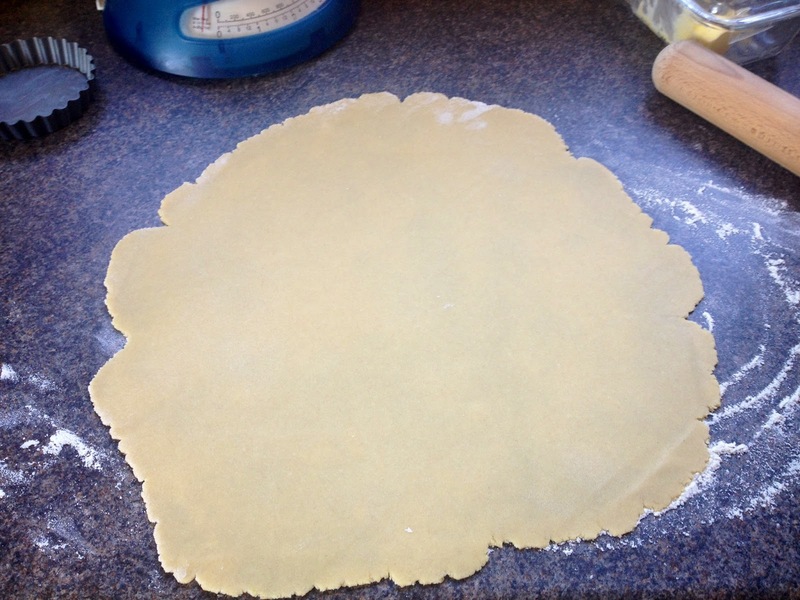 When the dough is chilled, remove from the fridge and roll out to approx 5mm thickness. 6. 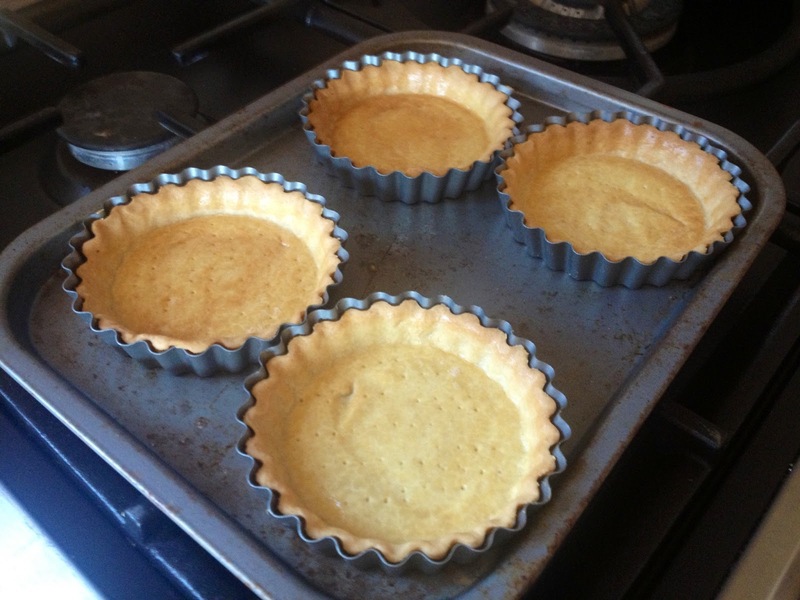 Preheat the oven to 190°C and grease 4 small tart tins. 7. 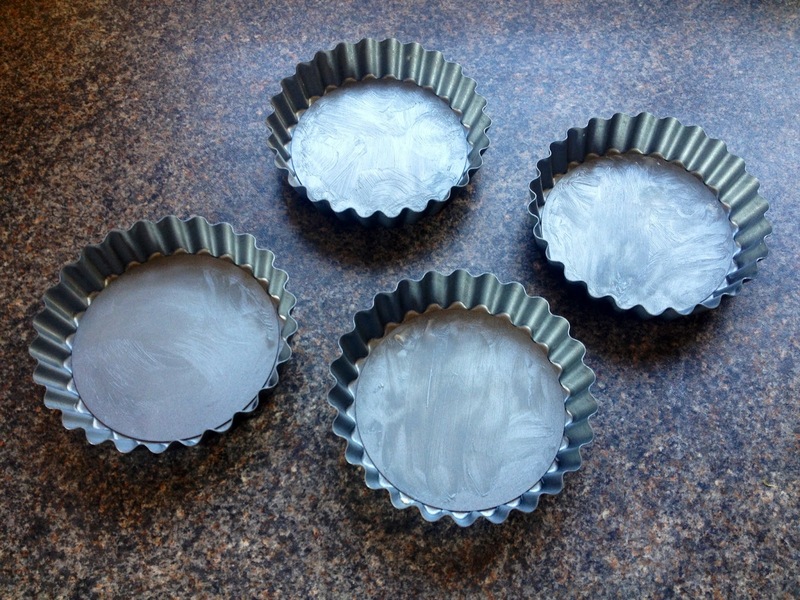 Lay the pastry over your tins and press into the grooves. 8. 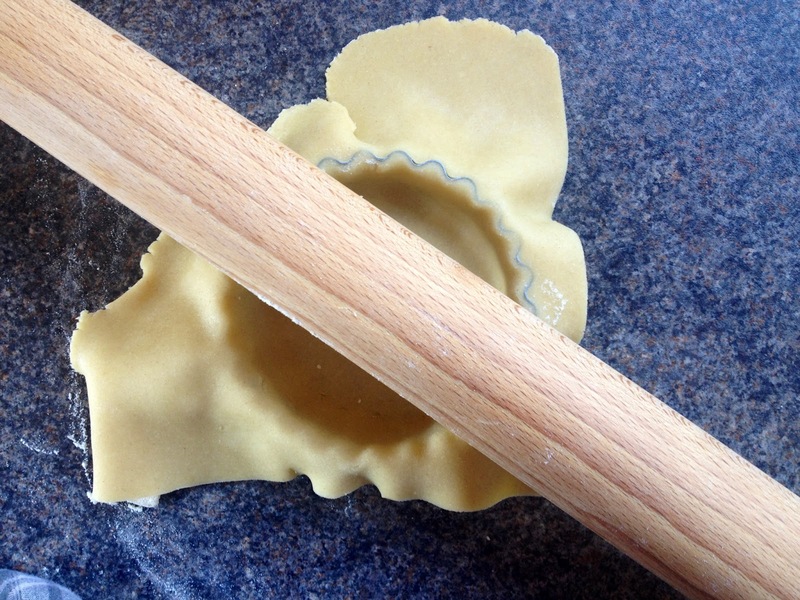 Use your rolling pin to remove excess pastry and prick the bases. 9. 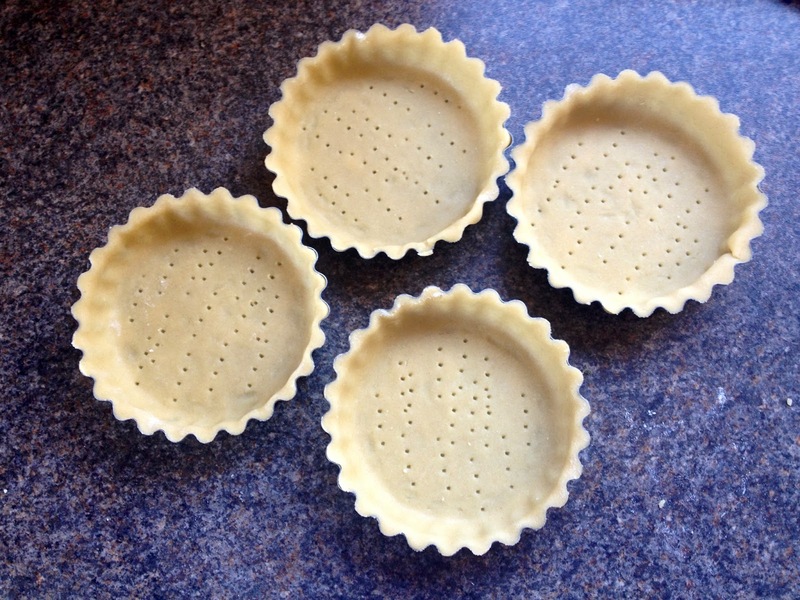 Line tarts with greaseproof paper and fill with baking beads. Bake in the oven for 10-12 minutes. 10. Remove the paper and the beads and return to the oven for a further 5-7 minutes. 11. Remove from the oven and brush with the beaten egg. Return to the oven and bake for a further 5-10 minutes until shiny and golden. Keep and eye on them. 12. When these are done remove from the oven and leave to cool. Lower the oven temperature to 150°C. 13. Meanwhile blend all the ingredients for the filling in a food processor until smooth. 14. 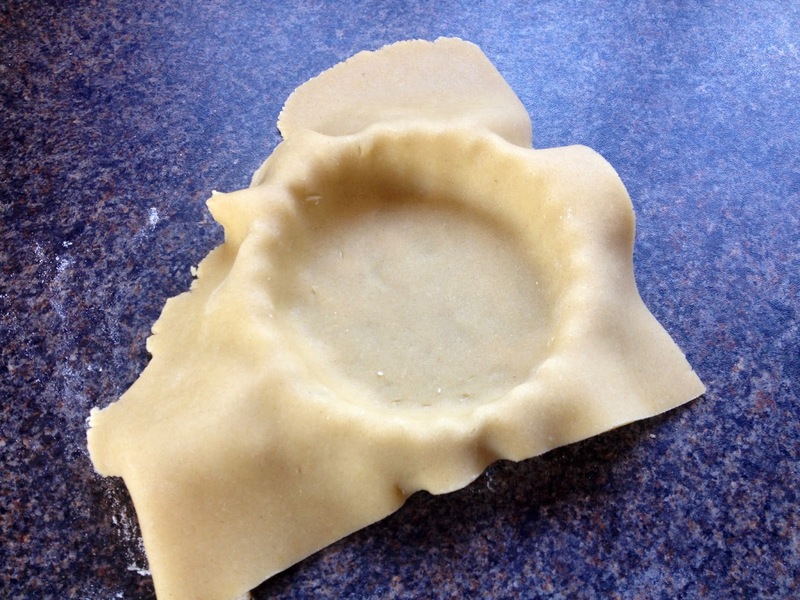 Pour the mixture carefully into your pastry cases, filling them almost to the top. 15. Bake in the oven for 20-30 minutes until the filling is set. 16. Remove from the oven and leave to cool. 17. 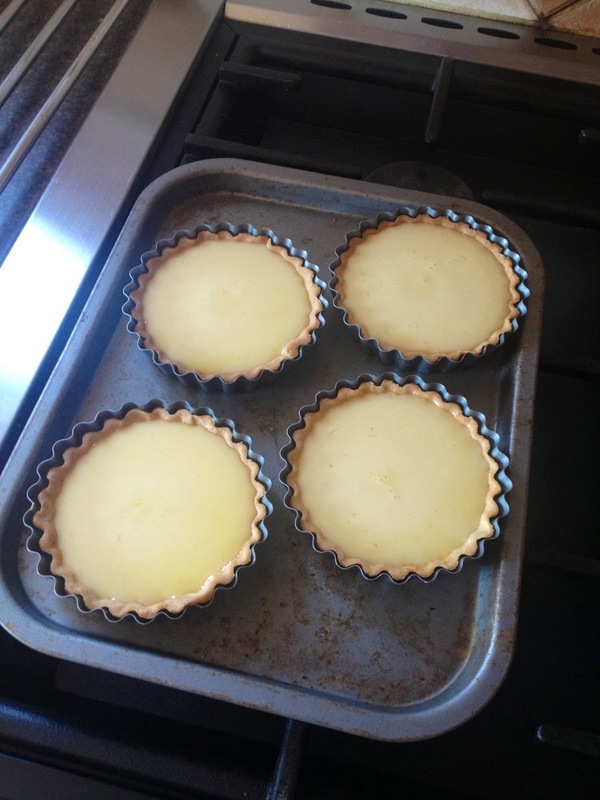 When they have cooled enough to touch remove the tarts from the tins and place on a wire rack to cool thoroughly. 18. Leave to cool before serving. Keep covered in the fridge if you’ve prepared these in advance. Serve with cream and garnish. What should I do with any left over filling? 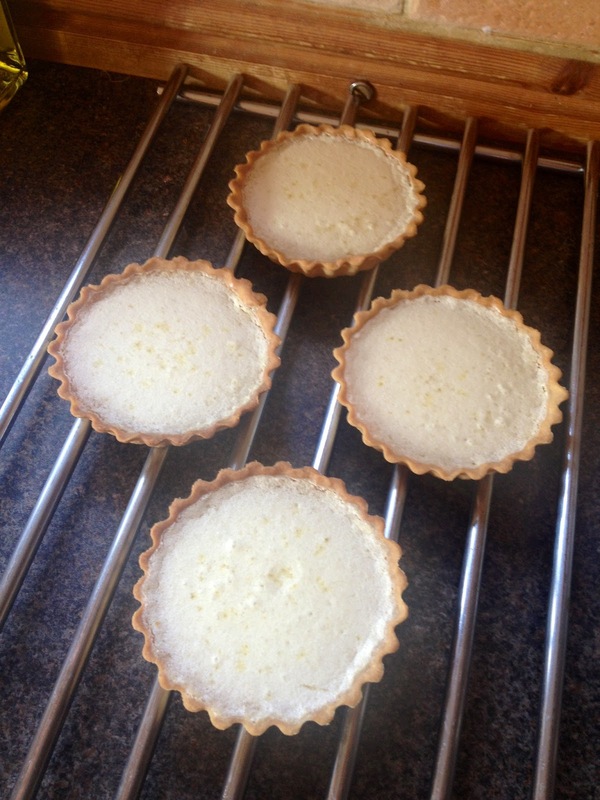 Whenever I make these tarts I always seem to be left with a little excess filling. Don’t throw it away, you can use this. If you’ve got enough, place in a saucepan and heat through on a low temperature. 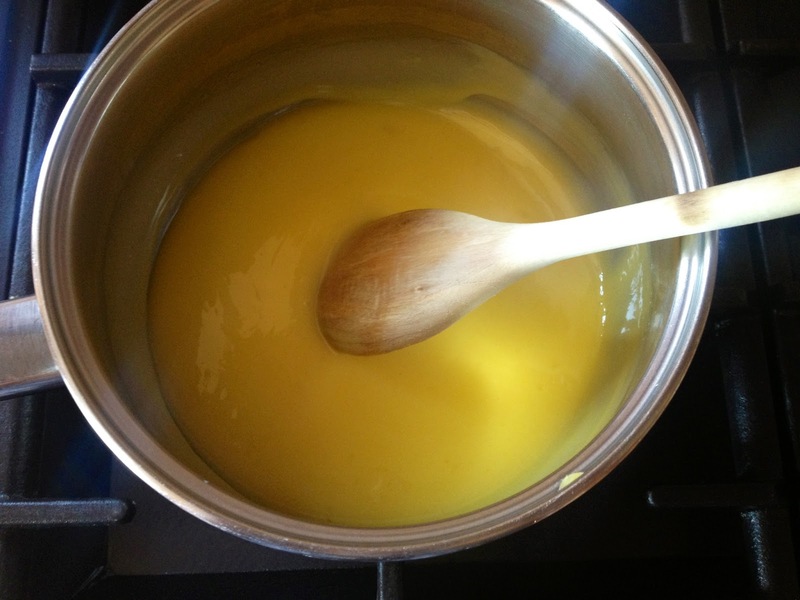 Stir gently and the mixture will start to thicken. When the mixture has formed a jam like consistency, turn off the heat and leave to cool in a jar or tupperware tub. Ta da! 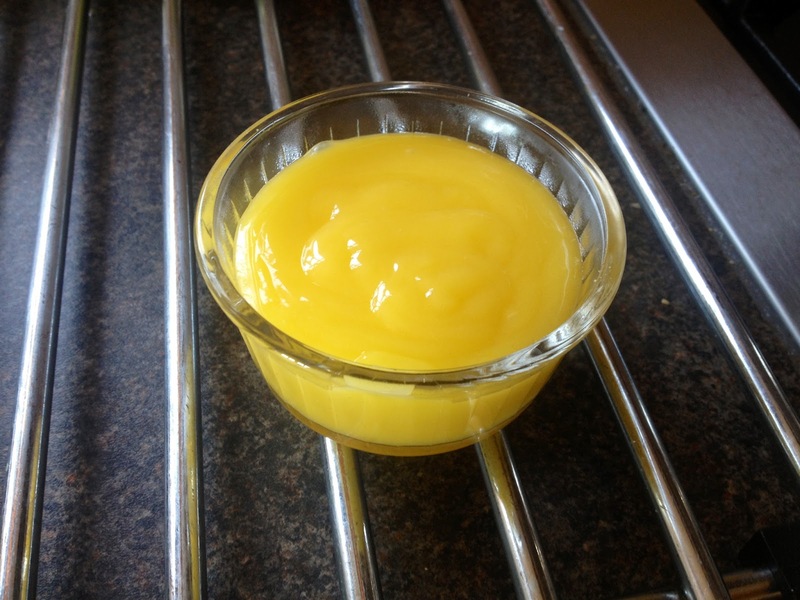 You’ve made lemon curd! Spread on toast or add to yoghurt with fresh fruit for a healthy breakfast.